According to the Hamburg market research company Statista, sales of leather shoes fell by 12 percent in 2016, as sales of sports shoes rose by 14.3 percent. The increasing popularity of sports shoes is not the only factor in the decline of leather shoes; the rise of vegan leather alternatives is also playing an essential role. In recent decades, consumer demand for cowhide leather has been high, especially when it comes to shoes. However, this trend is noticeably changing, as buyers become aware of the ecological and ethical impacts of wearing cowhide and are beginning to reject the material. This is creating a market for alternative leather. Countless brands have introduced shoes made from materials not derived from animals, such as plastic, mushrooms, pineapple, microfibre or coconut and banana fibres. There are countless materials from which leather alternatives can be created. One designer even makes vegan shoes out of fennel. Moreover, the quality of artificial leather has increased to such an extent that most consumers can no longer even tell that it is not cowhide. The driving force behind this is the younger generation. According to Jocelyn Thornton, Senior Vice President of Creative Services at the fashion and retail consulting firm Doneger Group, younger consumers are at the forefront of the trend to avoid real leather. Thornton explains that people in this age group nowadays prefer casual shoes such as sneakers, and this naturally reduces the demand for leather. Thornton continues by saying that younger buyers are looking for footwear brands with a “feel-good story” behind their production methods, and that they want their shoes to be made responsibly. “They’re not necessarily looking for plastics. They look for things that are better for the environment, better for the future,” Thornton says. The drought of 2014, which greatly reduced the number of cattle that could be bred, pushed up the price of leather. This also contributed to a reduction in the supply of leather on the market. 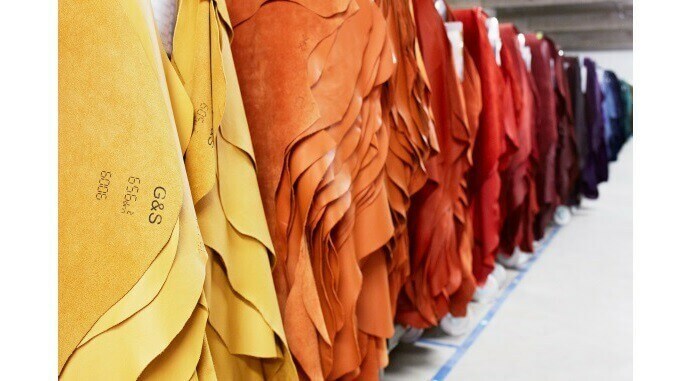 According to Ken Maxfield, president of The Maxfield Report, this drought has forced companies to find ways to reduce the amount of leather used in their products. Four years later, the demand for the material has still not returned to its previous level. All these factors explain why the demand for genuine leather has fallen significantly. The leather industry is seriously threatened by the ever-increasing popularity of vegan alternatives.